It came as no surprise at all to learn that Davao City has once again pioneered in a first of its kind in the country - cashless cab fare payments! 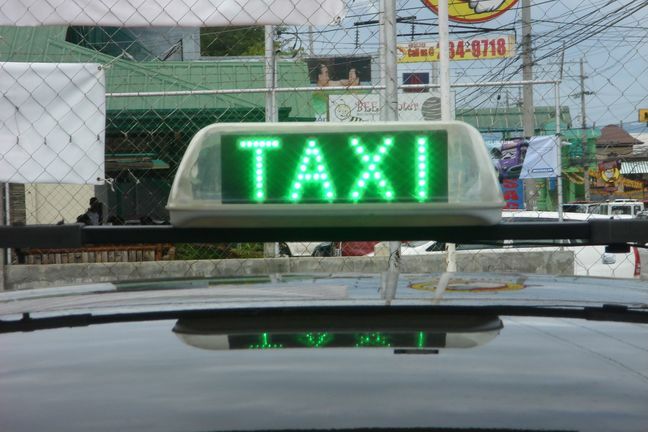 Passengers can now pay taxi fares in Davao City using ATM or debit card. Mabuhay Taxi, one of the largest and pioneering taxi fleet operators in Davao, has partnered with China Bank to provide its passengers the convenience of paying taxi fares via Megalink and BancNet ATMs and debit cards. The country has seen the rapid growth and popularity of cashless transactions in recent years and this trailblazing concept now makes Mabuhay Taxi the first taxicab company to initiate cashless cab fare payments in the Philippines' transport system. 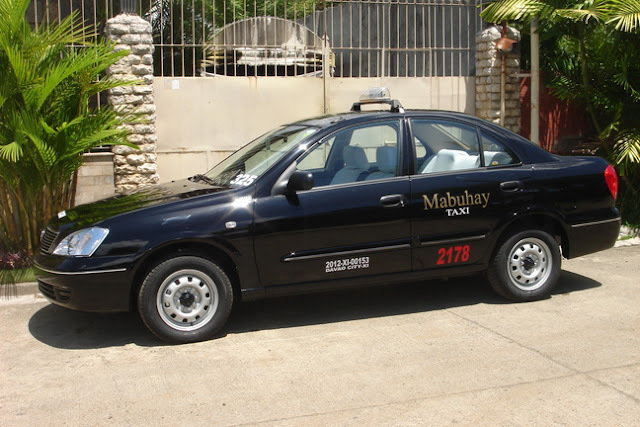 The Mabuhay Black Taxi is also the first taxicab to use a fully computerized Global Positioning System (GPS) Taxi Dispatching System where all their taxi units are closely monitored real-time and phone-a-cab passengers are assured of speedy and accurate dispatching to their pick-up locations. Starting July 6, 2012, 20 units of Mabuhay Black Taxis, the flagship taxicab of the Mabuhay Group which also operates Blue Taxis, will begin its wireless ATM|Debit Card Payment system to its passengers. There is no minimum payment for taxi fares, even below 100 pesos the transaction will still be processed. China Bank, through its Davao-Lanang Branch, facilitated the installation of state-of-the-art wireless Point-Of-Sale (POS) terminals to Mabuhay Taxi, a long-time valued client of the bank. It is expected that in a year or two, all Mabuhay Taxi units will already have POS terminals, and that eventually, cashless payment will also be the norm in paying for fares in any public utility vehicle in Davao City. Mabuhay Black currently has an exclusive taxi stand at SM City Ecoland and is the exclusive taxi service provider for Marco Polo Hotel and Grand Regal Hotel. i unknowingly left my cellphone at the backseat of mabuhay (blue) taxi at about 5:35 a.m. of sept. 23, 2012. just a few minutes later, the driver of the said taxi was in front of my house informing me that i left my cellphone inside his taxi. it is very rare nowadays that someone has the integrity and honesty to return a lost item such as a cellphone. in this regard, i would like to highly commend to the management of mabuhay taxi Mr. Eugenio Ranquin (the driver) for his integrity and honesty. more power to your operation! I think Taxi is the best transportation. But I want to ask one question that can you provide Limousine for wedding function? they let drivers drive without spare tire i think drivers our carrying the company the owner is to strict without basis they should strike again so they can feel what drivers do.